The playoff model steps into the offseason. A $200 performance model that nobody seems to be buying, the Nike LeBron 13 Elite is getting an EXT makeover with premium off-court materials. 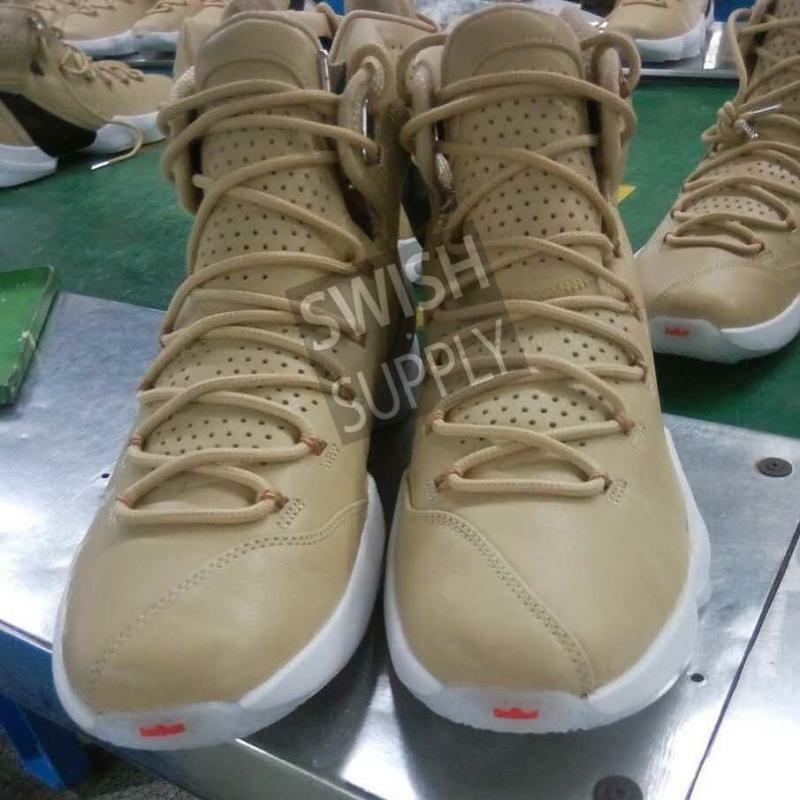 The LeBron 13 Elite EXT first surfaces in tan leather, aired out by perforated sections along the tongue and ankle. New details include metal upper eyelets and heel pull-tabs. The carbon fiber shank and tooling appear to be the same. According to Swish.Supply, the LeBron 13 Elite EXT will be extremely limited, possibly to as few as 700 pairs. Stand by for updates.